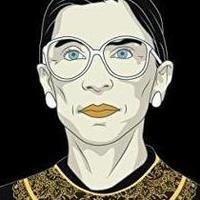 Directed and produced by award-winning filmmakers Betsy West and Julie Cohen, RBG details the incredible life and legal legacy of Justice Ruth Bader Ginsburg, the second woman to ever serve on the Supreme Court. Join us for a screening on Monday, March 4th at 6:30 p.m. in the auditorium of the Richard B. Russell Building Special Collections Libraries. The Women's History Month Film Screenings are co-sponsored by the UGA Institute for Women's Studies and Lucy Hargrett Draper Center and Archives for the Study of the Rights of Women in History and Law.